Why not go for uPVC windows fitted? There are so many good reasons to install them in your property, both in terms of looks and cost effectiveness. First things to think about are how upvc windows look and how much upvc windows cost. What types of upvc windows are there to choose from? 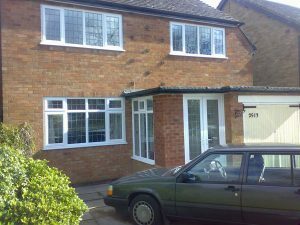 There are quite a few designs of upvc windows that you can have fitted to your property, some are “flat” in that they are in line with the plane of the wall in which they are fitted, and some project. Projecting windows are the ones commonly referred to as Bay windows and Bow windows, With Bay windows the project outwards at an angle to produce a 3 or 5-sided bay area. Bow windows curve out gracefully in a collection of facets. Both can be used to create some extra space within the home. Casement windows – the average every-day windows that you see in loads of houses across the UK. Opening from the side, they can be big or small – can also be used in bays & bows. Sash windows – these designs slide up and down to open, although you can find examples that slide side to side. Most often seen in period homes (built during Victorian, Edwardian or Georgian times), however, modern builders sometimes use then in new homes to give a bit more character to the property. Tilt & turn windows – a strange design that allows a window to open from the side and tilt inwards from the top – not hugely popular as the frames can be a bit clunky in UPVC. For prices you are likely to find that UPVC casement windows are the cheapest, Tilt & Turn UPVC windows are the next cheapest and Sash windows are the most expensive types of windows.